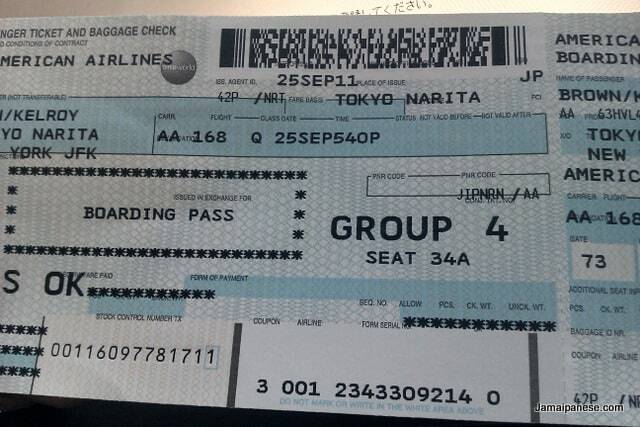 Four years ago on this very day (Sept. 25th) I was making my way back from Tokyo to Kingston via New York. The days I spent in Japan though in the past, continue to provide powerful fuel that empowers and motivates me through various challenges in life since and will for a long time. The hundreds of photos, the dozens of videos, the people, the experiences are daily reminders of an important personal victory for me. I told my coworker and friend that I am still on a high from visiting Japan four years ago, her reply was “that’s some kinda drug”. I agree Kathy Japan is some kind of drug indeed. 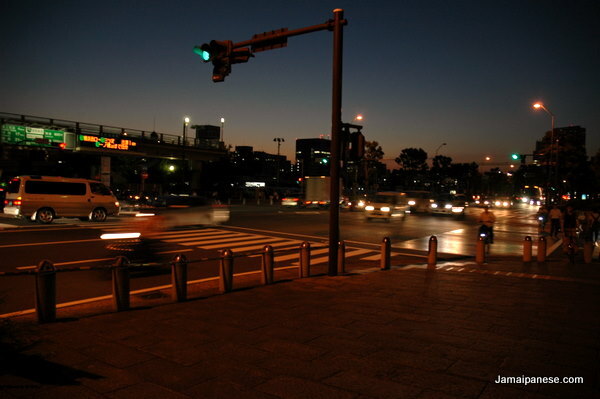 Below are 11 photos I took in Japan with a short synopsis of the memories attached to each one. this post could have easily contained 100 snaps but I hope you enjoy reading this post as much as I enjoyed writing it. First full day in Japan, jet-lagged but pumped up on the reality that I am in Japan. The plan was to take a train to downtown Yokohama, check out the views, visit a few tourist sports and capture it all in perfect late afternoon light. That was before I took the train in the wrong direction and arrived 3 hours later than planned. When at a major train station in Japan I more looked forward to seeing a train I haven’t seen before probably more than my own train. I was “that” train geek with a HD pocket-cam in one hand and a DSLR in the next. I love video but photographs still remain a favoured medium of mine. 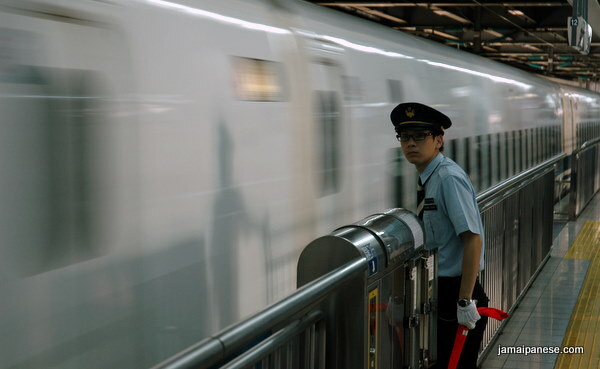 This photo of a train station worker frozen in time, staring at me with his shadow cast against a speeding bullet train is a photo I am VERY proud of. I am fascinated as to how the Japanese manage to keep their various attractions, temples etc so spotless even with millions of visitors filing though to gawk at them yearly. The Tsurugaoka Hachimangu is one such attraction that seemed to shimmer in the morning light – its gold and red exterior. 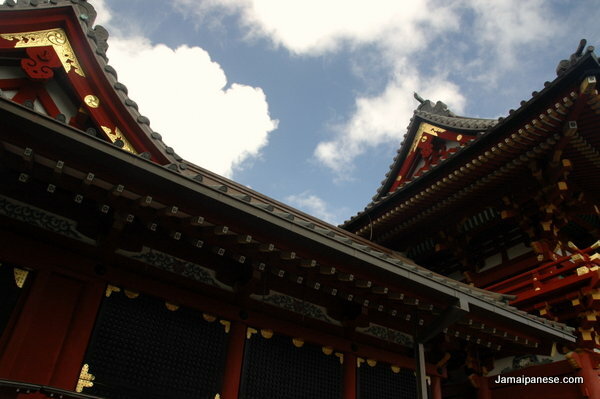 I snapped this contrasting pic of the temple roof and sky after being tapped on the shoulder I shown a sign forbidding photos of the trinkets and other items on sale. I will forever sing the benefits of a JR Railpass. Buzzing between Kyoto, Osaka, Nagoya, Yokohama and Tokyo like I did for 20+ days on regular JR trains and the Shinkansen would have cost a small fortune normally. Here I was an affordable hotel in Kyoto ready to take a day trip to Nara oblivious to the fact that I would soon be accosted by tricky deer. 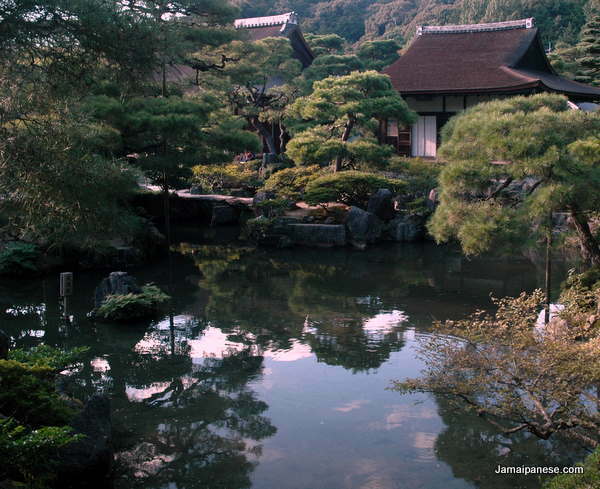 Ashikaga Yoshimasa was the 8th shogun of the Ashikaga shogunate. You know you are a important person when you retirement villa consists of temples, gardens, ponds, shrines; contained in an immaculate multi-acre complex. To think I just randomly picked the Ginkaku-ji temple to see how it compares with the more popular Kinkaku-ji temple. The stroll through the compound was relaxing and very memorable and I would definitely visit again. After 2 days of exploring Nara and Kyoto it was time to head back to Nagoya. 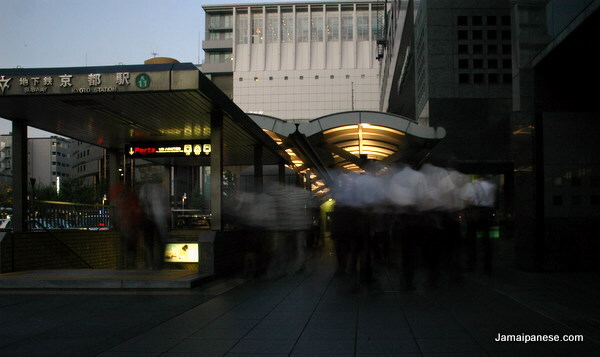 I stood outside Kyoto Station as the sun set absorbing the ambiance and watching the hundreds of commuters file in and out of the station and the surrounding buildings. The unbelievable realization that I was actually in Japan continued to wash over me. I clocked up a lot of mileage on the Keikyu Line as my main base in Japan was was in a suburb of Yokohama. 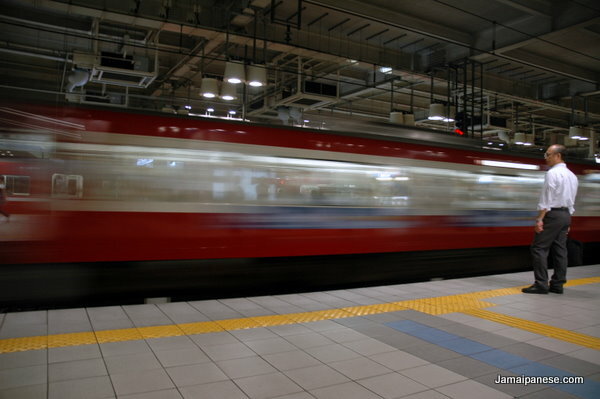 My first time taking the train alone taught me a very valuable lesson but by the time I was supposed to head back to Jamaica I had mastered the use of Japan’s train system thanks to the Keikyu Line the first and last connection to and from base. 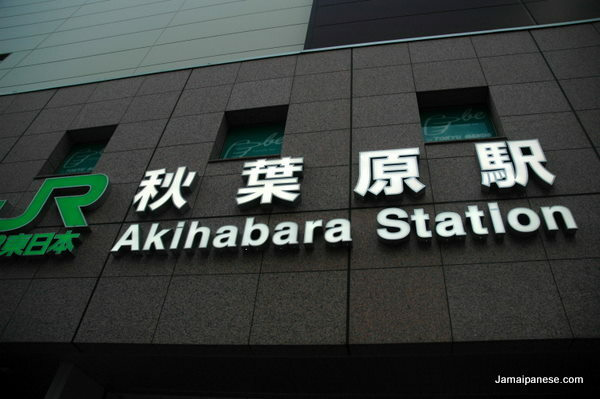 The sight of the Akihabara Station sign and the memorable jingle the train played on arrival was enough to send my pulse racing and give me heart palpitations. Exploring Akiba always caused a flood of positive emotions; every store, every figure, every smell, every sound, every step, every maid, every meal, every friendly Japanese being helpful. I shall return to you Akihabara and my wallet will once again be at your mercy. 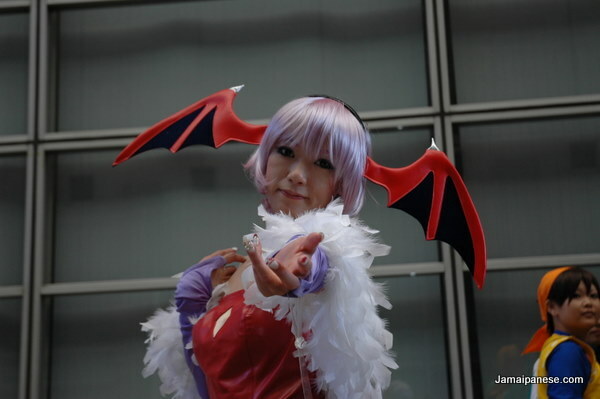 My experiencing attending TGS 2011 is characterized by how orderly it was, how big it was and the beautiful cosplay. I had an interesting run-in with a particular cosplayer dressed as Morrigan. One minute she was belching Japanese flavoured fire at me for unknowingly skipping the line, the next minute she was posing for me (after I joined the line and got to the front). After that we spent a few seconds apologizing to each other awkwardly before she transformed back into character as her fans cheered and got more pictures and autographs. The fast-paced, cutting-edge, technology-infused life in a big city is what big cities in Japan especially Tokyo is known for. 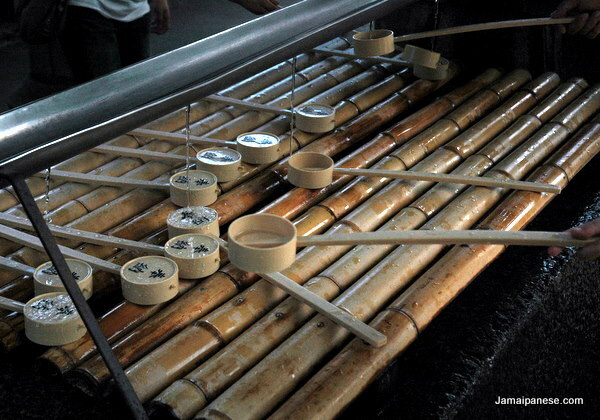 One of my original fascinations with Japan that I also observed first hand while visiting was the connection to the past and an unwavering reverence to traditions in the midst of the gadgets and skyscrapers. Here I was sitting in Narita airport departure lounge exhausted with 20+ days of adventures rushing through my head. I wasn’t sad that I was leaving Japan, I felt that my trip was a resounding success. I wasn’t looking forward to the long flights back home, but I barreled down the runway. I was honestly satisfied and somewhat revealed: I did what many said was impossible, if I could manage to do this, I had no excuse when it came to many of the other goals I had set for myself. If you read this entire post that you have my gratitude. If not thats ok! 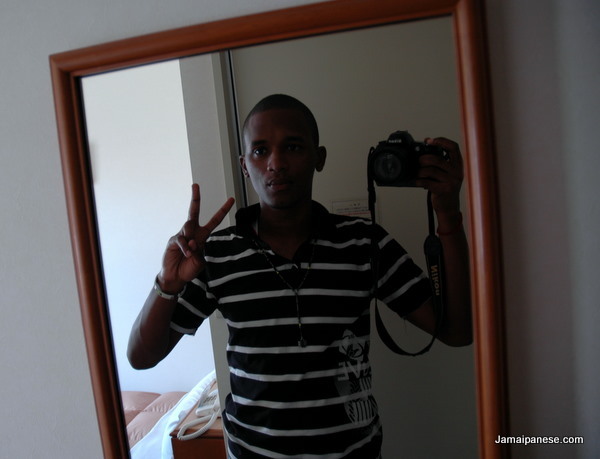 Drop me a message or tweet me at @Jamaipanese. I am ALWAYS happy to hear from visitors to my blog. The Man in the High Castle - What if the Allies Lost WWII?